Summer is coming to an end which means we are done with vacations and picnics as of now and I hope everyone is getting ready to celebrate the holiday season.But hey, what are gonna do with all those beautiful pictures you took during your vacation ?? Please don't save them in hard drive and let it sleep until next time you find time to look back. Everyone loves to cherish memories , right ?? 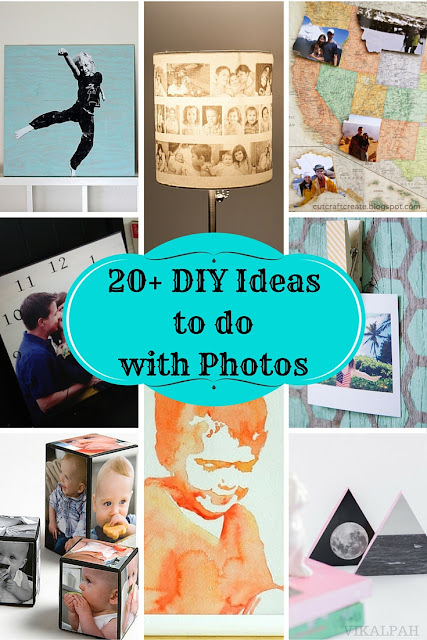 So, today I am sharing DIY ideas that you can make with photos.May that one good photo or 100s of photos.I got you covered on what to do with them.Lets get started. 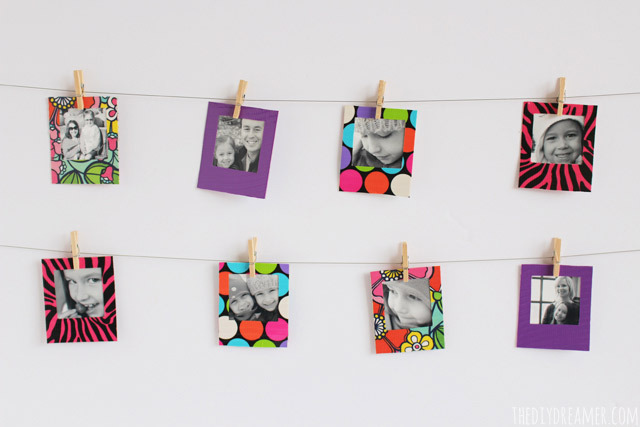 Mod podge your photos in wood from House of stories - This seems like a store bought display but the tutorial shows how to make your own. 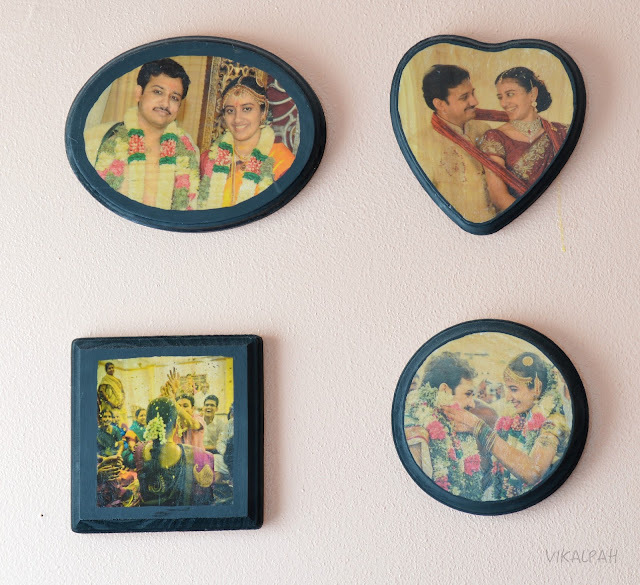 DIY Image Transfer on wood from Vikalpah - If mod podging photos does not satisfy you, try this image transfer technique.This is the one I made 2 years ago with pictures from my wedding. 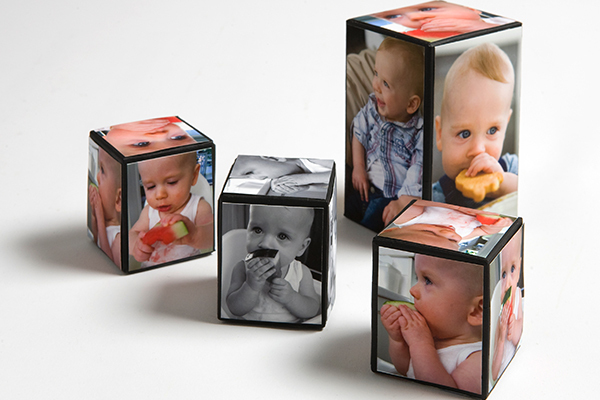 Photo cubes from Tara Dennis - This tutorial also shares how to make you own cubes. 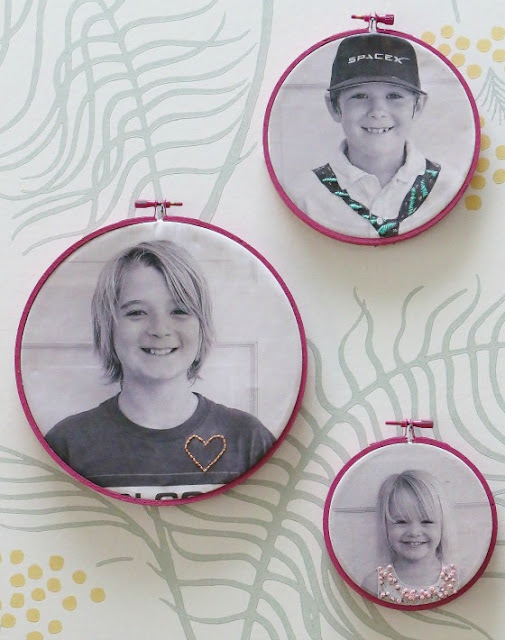 Embroidered Photo Family Portraits from The Glamorous Housewife -What a fun way to display portraits instead of those big frames. 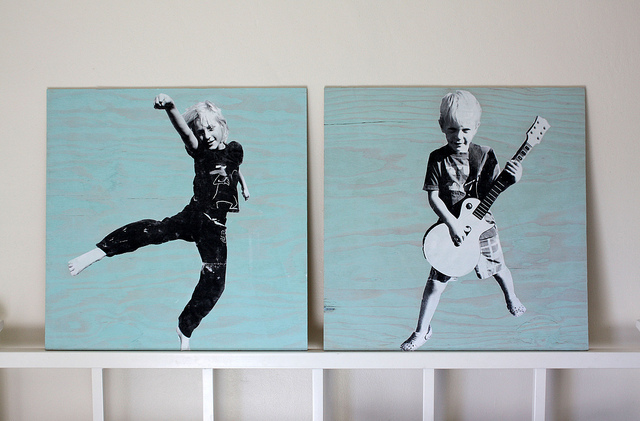 How to make large scale photo transfer wall art from Wendolonia - Isn't it the coolest way to display your kids pictures?? Magnetic Me from Creative juice - Wish I had Magnetic me when I was a Kid ;) Definitely a great project to do for your kids to play with. 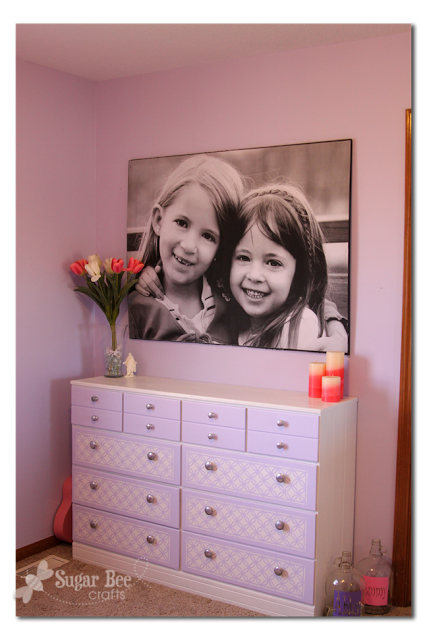 Giant Picture tutorial from Sugarbee crafts - If you want that one perfect photo,to be framed this idea will work for you. 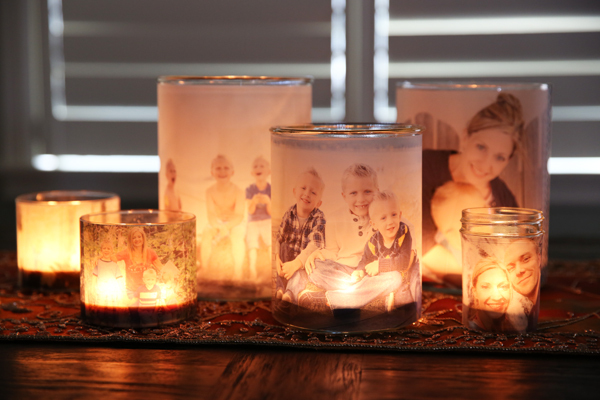 Glowing Photo Luminaries from Our Best Bites - These make great gifts for the holiday season. 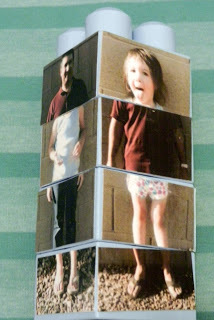 Silly Picture Puzzle Blocks from A Couple of Craft Addicts - Want something fun & crazy?? 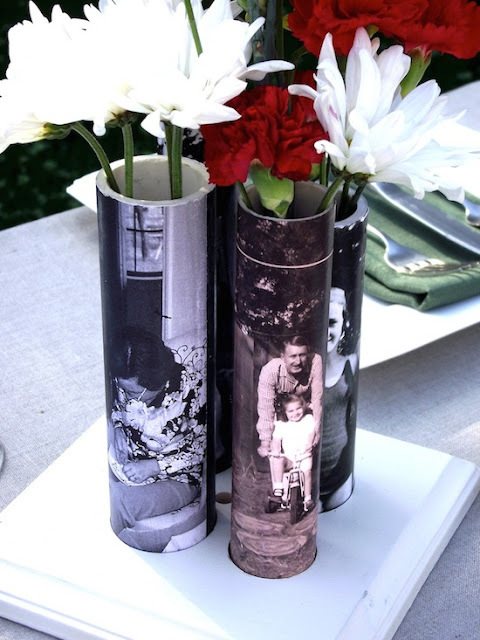 DIY Vase from PVC Pipe - Mod Podge Rocks - Instead of long tubes , one big tube will be great to display your family picture with a big bunch of flowers.Which will make a great centre piece for holiday dinner and also serves as a conversation starter. 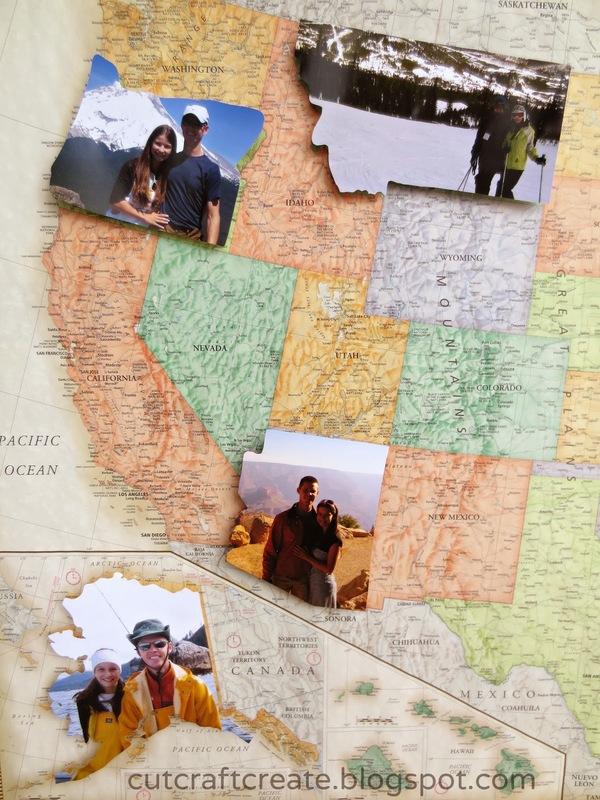 Personalized Photo Map from Cut Craft Create - Do you travel a lot ?? 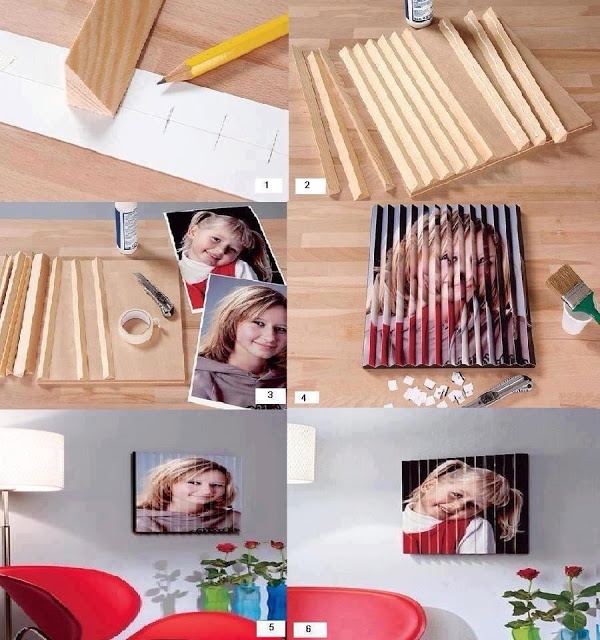 Then this will be a perfect DIY for your home. DIY Photo Lamp from Mommy moment - What a great way to cherish memories every day by displaying them in the lamp like this. I am sure anyone can do this.It is as simple as that. 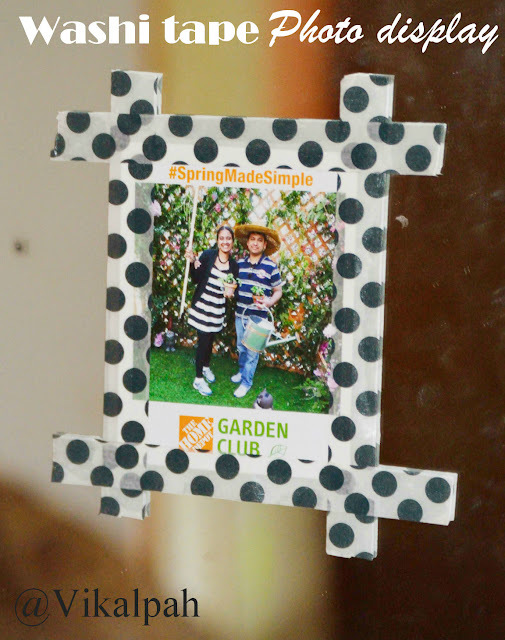 Duck Tape Mini Instant Photo frames from The DIY Dreamer - Polaroid need not be just white. They can be as colorful as they are shown below. 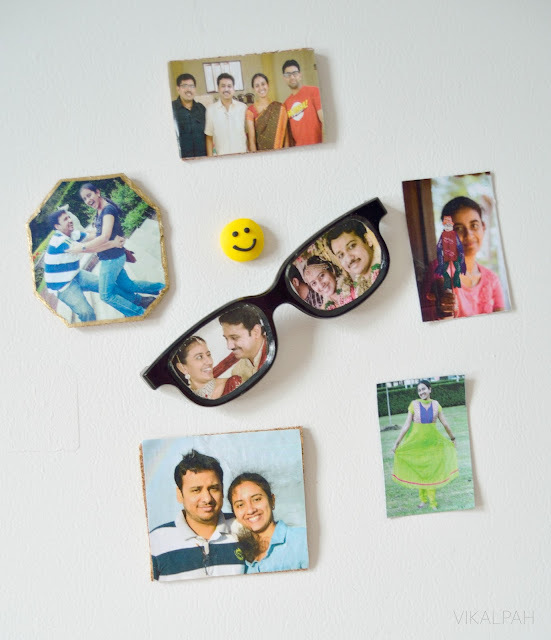 3 ways to bring digital photos to real life from Vikalpah - One of the best place to display pictures is the fridge.Check out the three simple ways to make pictures as photo magnets. 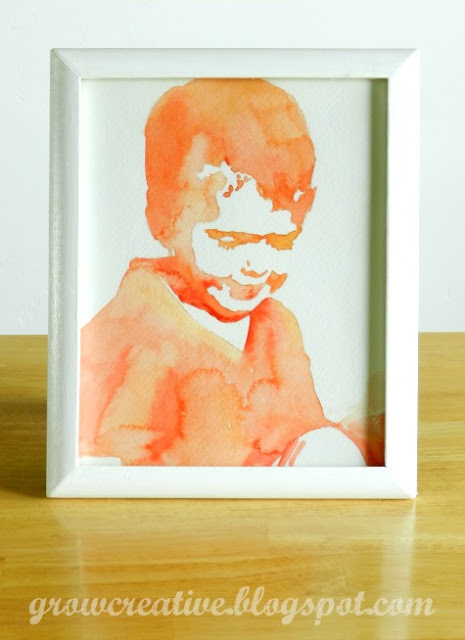 Easy Watercolor Portrait Tutorial from Grow Creative Blog - This tutorial shows how to turn your photos into watercolor art. DIY Polaroid Photo Coasters from One Good thing by Jillee - These are the simplest way of using your photos. 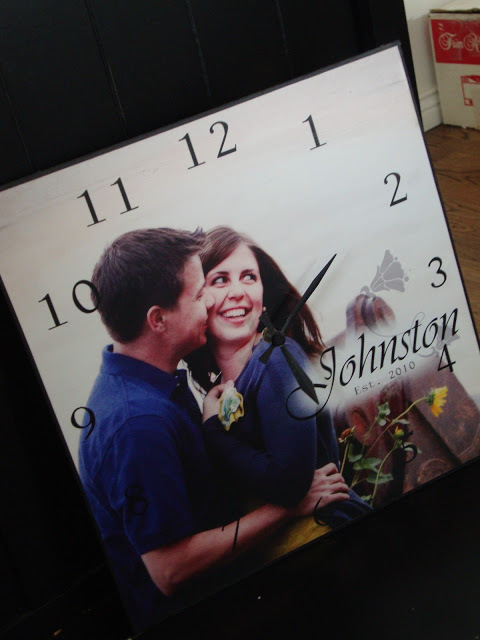 Photo clock from Just between friends - This makes a perfect gift for any newly married couple or if you are searching for a anniversary DIY gift. Instagram photo Display from Natalme - This simple board and clothespin display lets you to change the pictures as often as you can. Even though I couldn't find the source of this DIY,I can't stop from sharing as I thought this was a great idea to bring the holographic effect .If any of you know the source of this DIY , please leave them in the comments.I will update the link. Old book photo Album from Making Lovely - Are you a kind of person who take prints of vacation pictures and put them into a photo boxes?? 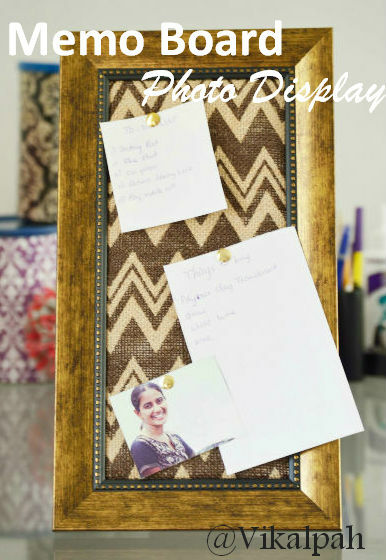 Instead do this simple DIY,that way it is easy to look back. 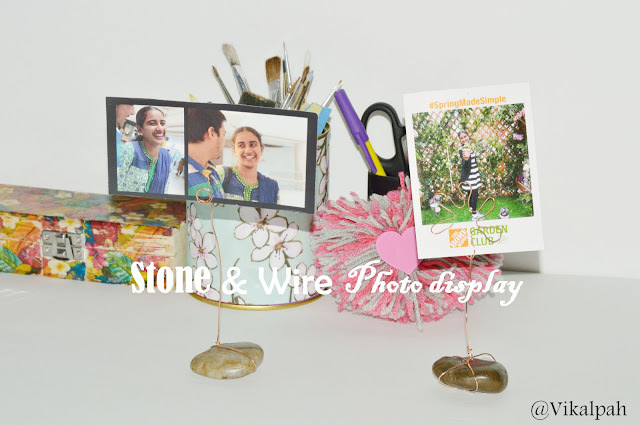 3 Different ways to display photos from Vikalpah - If you do have time for any of the DIY stuffs but still want to display your picture prints or polaroid. Here are the 3 ways to do it. Hope you like this roundup of DIYs to do with photos. 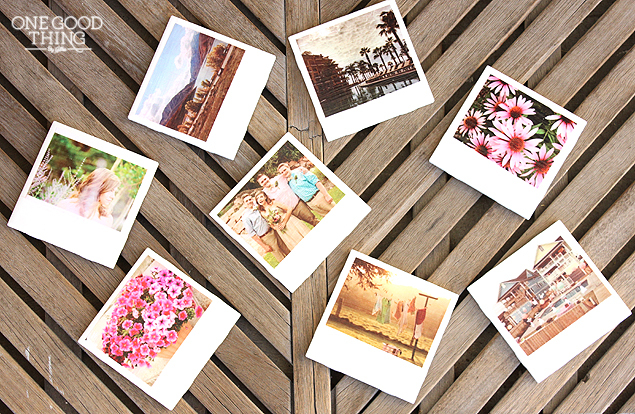 What do you normally do with photos after returning from road trips or any vacation ?? 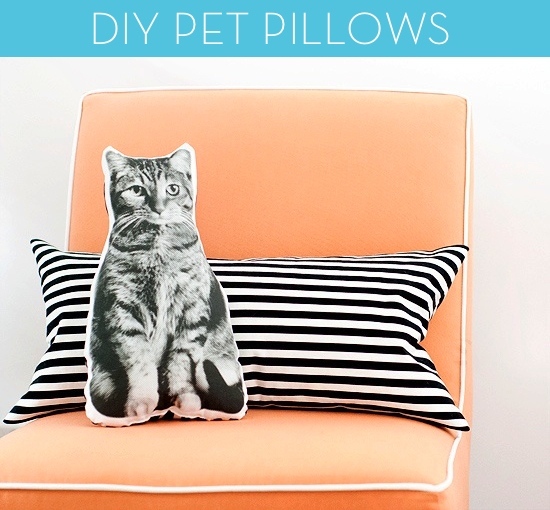 Do you have any DIYs to do with photos? Share your link below for everyone and share what you think about this roundup or your favorite from this roundup in the comments below. As always I will be happy to hear from you. What awesome ideas. 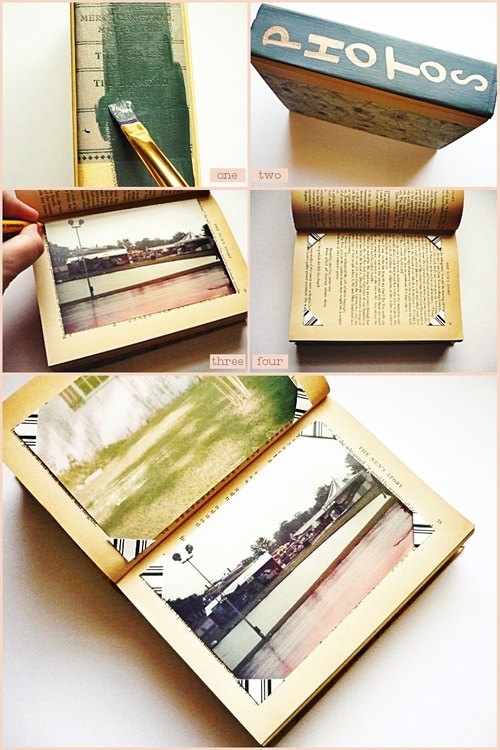 I always love sharing photos and what better way then inside a book but out in the open. Very cool!! These are all such great ideas, thanks for rounding them up so we can look at them. I love photos! Some great ideas, time to get my craft on! These are really great ideas! I like that pillow pet idea. 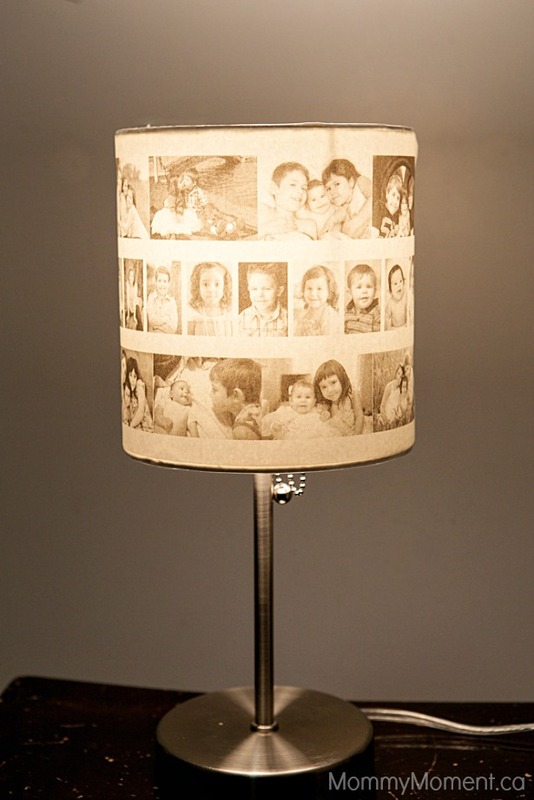 My little ones would love that! Thank you so much for sharing and linking up with us over at the Welcome Home Wednesdays Link Party! So many great ideas to use photos. Love the pet pillows and the map.